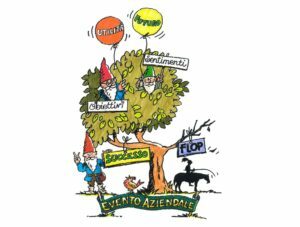 In the previous articles we talked about the cruel Knights of Fiasco that scheme to make our event fail and of the kind Gnome of Success that help us to make everything go properly. 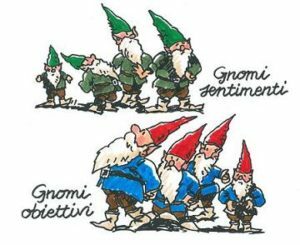 But we are not done with the Gnomes: we talked about the Here Tribe, formed by the Goals Gnomes that work on the side of the company; we still have to talk about the There Tribe, the Gnomes that work among the participants! The Gnomes of the There Tribe are called Feelings. They hide in the hearts and guts of the participant so… be sure that if you’ll only target their heads you’ll never find them. It’s a rocky kind of guy, this Belonging… one of those that, once they say “I’m in!”, can be counted on for a long time. If it doesn’t say so, things don’t look so bright. If you want to conquer it, give plenty of cord to its siblings. And don’t forget to consider that a sense of belonging means loyalty. The Gnome “Opportunity” is a serious, far-sighted type. Despite being a Feeling, it can assess the situation clearly and it quickly understands if it is interested or not. If he isn’t, he kicks the table and foils all your plans, but if it is he then becomes the engine of the enthusiasm. Please, do not disappoint it and do not trick it with fake substance. “WellBeing” is the third Feeling Gnome. Contrariwise to Opportunity, it looks at the “here and now” but thinks forward, to tomorrow and beyond. It is uninterested, easygoing and happy and if it’ll find out that here, among these people, in this Company, with these products it’s possible to have a good time and to keep having a good time, it will help for you and work for your success, without saving itself and smiling. 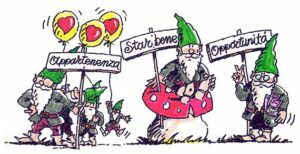 The Feeling Gnomes tend to be behind each other: if you look for shortcuts staking your all on one of them and neglecting the others, if you act as a crawler aiming to easy plaudits, beware, because it may turn out badly. These are the Feeling Gnomes of the There Tribe, they are honest people that appreciate sincerity; treat them loyally and respectfully, without cynicism or attempting tricks, they’ll become your friends. And not just that: they’ll become your guardians and we’ll have you stepping in the future. 3. End of the fairytale. Summary. Let’s now step away from the fairytale of Gnomes and Knights and make a clear summary of the sense of these three articles. Success and failure of an event are not supernatural phenomena, but results of a project. They are generally caused by precise factor and not even by many of those. Learning to control them can make the difference between an overwhelming success, a mild success and a devastating fiasco. There are four main failure factors: 1) wrong location; 2) food of mediocre quality (try and imagine if it’s poor! ); 3) the boredom of the participants; 4) the hot air of the speeches. Some will say “But of course! These are all very commonly known things! Who doesn’t agree with them?” well… if they really are so widely known, how come they keep taking such a heavy toll? As for the success, the matter is a bit more complicated. It is built 1) within the Company, by reaching the Goals, well identified and without distraction on their Usefulness; 2) among the Participants, managing their Feelings and sharing them to build their Future together and to give it a sense. The corporate Goals to aim are: 1) Purpose (why are we organising this event? ); 2) Result (what do we want to obtain from this event? ); 3) Flash (what would you like to be unforgettable? ); 4) Budget (how do we distribute the resources we have for this event?) 5) the Tactical Goals (how do we characterize this event?). Goal of the goals? The Usefulness! The Feelings that need aroused among the participants are: 1) a sense of Belonging (I am a part of all this); 2) perception of the Opportunity (here, I obtain an advantage); 3) Happiness (I feel good in here). Feeling of the feelings: a view of the Future. 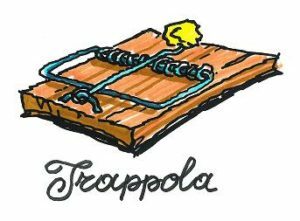 There are also some traps: 1) the Shortcuts: e.g. since success comes with applauses, aiming for applauses mistaking them for success. A demagogic approach creates apparent results, that do not last and cost a lot. It is very typical of ailing companies and insecure managers. At the end of the day, it is not convenient. 2) being “Squint”: aiming for something and doing something else. E.g. if you want your Flash to be a “leader’s worth competitiveness” why hiring a comedian that talks about losers? Just because it’s fun? And if the metaphor of the event is Ancient Rome, what’s the point of having sushi for dinner? In short, which is the gist of a corporate event? It is to be found it these two words: Usefulness and Future. 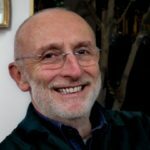 It is important to ask oneself: “Have I reached any useful goal? 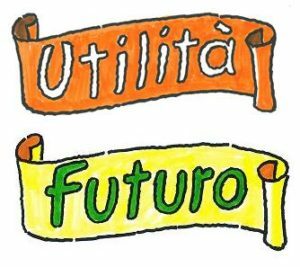 Have I created a view of the future?” Usefulness for the company and view of the future for the participants are the engines and indicators of the success. The more they are pursued with precision and rationality from planning to implementation, the more the success will be deep and long-lasting. The more they are neglected the more the result will be fleeting. Success is written in the project and written piece by piece. So is failure. And what’s the point of the fairytale with Knights and Gnomes? Does it grant success? No guarantee, consider it as a simple check list of the “to do”s and the “not to do”s and of goals on which to keep an eye. And make it yours. You will discover is less “light” than how it seems!